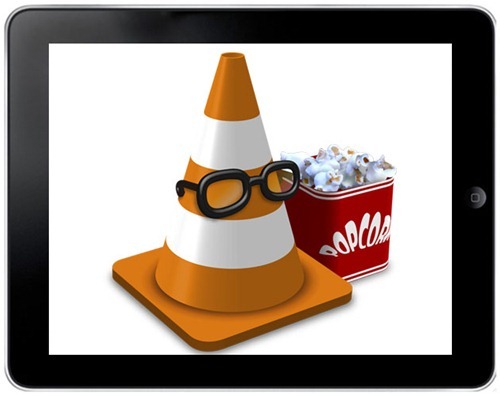 VLC Media Player Hits App Store, Plays Virtually ALL Video Formats on iPad ! As amazing, revolutionary and magical the iPad may be, the fact remains that it lacks quite clearly in the video playback department. It only supports H.264, .mp4 and .mov video formats. Pretty limited, if you ask me. The tedious process of having to convert video files in iTunes before moving it to the iPad is, well, rather tedious. But now, with VLC Media Player (also known as that media player every real geek has installed on their personal computer…) you can supercharge your iPad’s video playback capability. It plays virtually any video file you throw at it (including DivX and Xvid). File management is handled via iTunes and the most magical thing is: VLC Media Player is entirely free. Ported to the iPad by the devs from Applidium, this is one offer you simply cannot refuse. Even if you don’t watch videos on your iPad, it’s still very much a must-install coz you never know when you might need it! Go ahead it and get it directly from the link given below. It is currently propagating through the App Store and should be available worldwide soon. Oh and one more thing… the developers are also working on an iPhone / iPod touch version. Stay tuned to Redmond Pie for that!